Marking his first album in five years, country crooner Scotty McCreery’s highly anticipated album Seasons Change is available everywhere this Friday, March 16, and has received nothing but positive marks from some of the industry’s top influencers. Seasons Change features McCreery’s smash hit single “Five More Minutes,” which he released independently prior to signing with Triple Tigers Records, and pays tribute to his late grandfather. The single became McCreery’s first No. 1 hit, reaching the top spot on both the Billboard andMediabase/Country Aircheck Country Airplay charts. The song which People calls an “emotional walk down memory lane,” also cemented RIAA Gold certification for combined units of streams and sales in excess of 500,000. McCreery’s recently released track, “This Is It,” details his proposal to his high school sweetheart, Gabi Dugal, in the North Carolina mountains. It has already seen digital success on iTunes, where it has consistently lived in the Top Ten Country Songs alongside “Five More Minutes” since it was released on March 9, peaking at No. 3. Seasons Change is the first album on which McCreery has been a co-writer on all 11 tracks. Other co-writers on the album include: Jessi Alexander (Dierks Bentley, Brad Paisley, Blake Shelton), Monty Criswell (Eric Church, Darius Rucker, George Strait), Jason Gantt (Brooks & Dunn, Faith Hill, Alison Krauss, Tim McGraw), David Lee Murphy (Gary Allan, Kenny Chesney, Blake Shelton) and more. The album was produced by Frank Rogers, Derek Wells and Aaron Eshuis. This morning, McCreery stopped by the NBC studios to perform “Five More Minutes” on Megyn Kelly TODAY. Scotty McCreery has lived a lot of life in between his last album in 2013 and his long-awaited new album, Seasons Change, available everywhere this Friday, March 16 on Triple Tigers Records. He moved out on his own, went to college, released a book, proposed to his high school sweetheart, and most recently, notched his first No. 1 single with “Five More Minutes,” a song written by McCreery after losing his grandfather. Seasons Change features 11 tracks, all of which McCreery had a hand in co-writing, marking a first for the 24-year-old country singer. Each track on the album allows fans a glimpse into the different corners of McCreery’s life—with songs like “In Between” featuring McCreery’s favorite line about himself – “I ain’t all Holy Water and I ain’t all Jim Beam, I’m somewhere in between,” “Boys From Back Home” about McCreery’s real-life friends from North Carolina and his upcoming new single “This Is It,” a song McCreery penned two weeks prior to proposing to his fiancé as an almost-blueprint to how he envisioned the proposal unfolding. Seasons Change is a true reflection of where the North Carolina native is in life. Among his co-writers on the personal album are Jessi Alexander (Dierks Bentley, Brad Paisley, Blake Shelton), Monty Criswell (Eric Church, Darius Rucker, George Strait), Jason Gantt (Brooks & Dunn, Faith Hill, Alison Krauss, Tim McGraw), David Lee Murphy (Gary Allan, Kenny Chesney, Blake Shelton) and more. The album was produced by Frank Rogers, Derek Wells, and Aaron Eshuis. To celebrate the release of his new album, McCreery will appear on Good Morning AmericaMonday morning to talk about the return of the show that got him his start, American Idol. Then onThursday, March 15 he will visit Megyn Kelly TODAY to sing his RIAA Gold-Certified single “Five More Minutes.” Celebrating his album release, McCreery hosts an album launch party and concert at Gramercy Theatre in New York City on Monday, March 19 and strips it back for an intimate performance on the syndicated show, Pickler & Ben, next Wednesday, March 21. 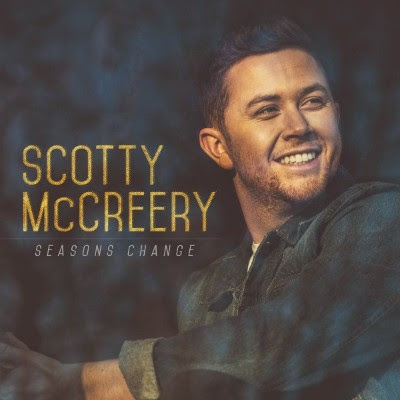 Fans can purchase Seasons Change onsite and have it signed in person by McCreery on March 18 in the Boston area at the FYE in Hanover Mall at 1775 Washington Street, Hanover, MA beginning at1 PM ET, and on March 20 in his hometown of Garner, NC at the Walmart at 5141 NC Highway 42W, beginning at 7:00 PM. Radio Disney will launch "American Idol Insider," a weekly hour-long show hosted by former "American Idol" winners and contestants. Country music singer Scotty McCreery (winner of "American Idol" season 10), who is currently on the country charts with his Top 3-and-rising smash hit single "Five More Minutes," will host the premiere show on TUESDAY, FEB. 27 at 5:00 p.m. PST/ 8:00 p.m. EST. The new program will air every Tuesday on Radio Disney with encore airings throughout the week and across multiple platforms, including the Radio Disney App,RadioDisney.com, Sirius XM, iHeartRadio, TuneIn, Sonos, Aha Radio and HD Radio. "Five More Minutes" is from McCreery's upcoming albumSeasons Change in stores on Friday, Mar. 16. Radio Disney is known for identifying and boosting the careers of music talent who have quickly grown to be some of today's biggest artists; including Selena Gomez, Alessia Cara, Kelsea Ballerini, Shawn Mendes and its current "NBT" (Next Big Thing), the recording artists Why Don't We. Its new program will feature the journeys of "American Idol" alumni each week and include show results and recaps of the first season of "American Idol" on ABC from Radio Disney on-air personality Morgan Tompkins. A related video series, "American Idol Insider Direct Message," in which "American Idol" alumni pose the questions to each other, will offer even more compelling stories. It will be presented on Radio Disney's digital platforms including in the DisneyNOW app. "American Idol," the iconic series produced by FremantleMedia North America and CORE Media Group’s 19 Entertainment, revolutionized the television landscape by pioneering the music competition genre. "American Idol" will return to airwaves on Sunday, March 11 (8:00–10:01 p.m. EDT), at its new home on The ABC Television Network. Helping to determine who America will ultimately vote for to become the next singing sensation are music industry forces and superstar judges, Luke Bryan, Katy Perry and Lionel Richie. Emmy® Award-winning host and producer Ryan Seacrest will return as host of the beloved series. Scotty McCreery made history in 2011 as both the first country artist and the youngest male artist of any genre to debut his first studio album, the Platinum-certified Clear as Day, at No. 1 on the all-genre Billboard Top 200 Albums chart. All three of his albums have debuted at No. 1 on a Billboard Albums chart, with current combined sales nearing 3 million copies. He’s earned one Gold single, and three Platinum singles and achieved two Top Ten hits with "Feelin' It" and "See You Tonight." The latter song earned McCreery both his first BMI Award for writing one of the Top 50 Country Songs of 2015 and his first Music Row No. 1 Challenge Coin. He won the 10th season of "American Idol" in 2011; was named the ACM New Artist of the Year in 2011; won the CMT Music Award for Breakthrough Video of the Year ("The Trouble with Girls") in 2012; and American Country Awards for new Artist of the Year in 2011 and Breakthrough Artist of the Year in 2013. In 2016, McCreery released his first book, "Go Big or Go Home: The Journey Toward the Dream," and won the Rare Country Grand Ole Opry Moment of the Year Award for his live performance of "Five More Minutes," which became an internet favorite viewed by millions on YouTube before becoming the highest charting single of his career thus far. His new album, Seasons Change, will be released on March 16. For more information and his current tour schedule, visit www.ScottyMcCreery.com. *COPYRIGHT ©2018 Disney Enterprises, Inc. All photography is copyrighted material and is for editorial use only. Images are not to be archived, altered, duplicated, resold, retransmitted or used for any other purposes without written permission of Disney Junior. Images are distributed to the press in order to publicize current programming. Any other usage must be licensed. Photos posted for Web use must be at the low resolution of 72dpi, no larger than 2x3 in size. For up-to-date news on #AmericanIdol follow @AmericanIdol (Facebook, Instagram, Twitter and Musical.ly) and @AmericanIdolABC (Snapchat). Facebook.com/AXS will stream a 5 song live performance tonight (Tuesday, February 27th) at 7:30 pm/central (5:30 pm/pacific). This was filmed last week in LA. Scotty performed 5MM, This is It, In Between, See You Tonight, and Feelin' It. Heartland Network (TV) will air "More Than Music" tonight (Tuesday, February 27th) at 8:00 pm/eastern (7:00 pm/central), featuring an interview with Scotty. After announcing his forthcoming album, Seasons Change, is due March 16 on Triple Tigers Records and making some major decisions in his personal and professional career, Scotty McCreery’s debut single from the forthcoming album, “Five More Minutes,” becomes his first No. 1 hit, reaching the top spot on both the Billboard and Mediabase/Country Aircheck Country Airplay charts. The song that The Tennessean says, “pulls heartstrings” also cements RIAA Gold certification for combined units of steams and sales in excess of 500,000. “Five More Minutes,” which People calls an “emotional walk down memory lane,” was McCreery’s first introduction back to the industry after the singer took almost five years since his last No. 1 studio LP, See You Tonight while resolving legal disputes with his former label, touring, writing new songs, and creating this new album for his new label home. The hit that Billboard calls, “heart-wrenching” was written two weeks after the passing of his paternal grandfather, who serves as a major inspiration for the song, and takes listeners on a journey through both the joys and sorrows of life, ending with a plea for “five more minutes” with his grandfather. McCreery wrote the song with Seasons Change co-producer Frank Rogers and Monty Criswell back in 2015. He first performed it publicly on the Grand Ole Opry in June 2016 during CMA Music Festival, receiving a standing ovation and subsequently millions of views on the Opry’s YouTube channel. National Radio Hall of Fame member Bobby Bones championed “Five More Minutes” and gave the song its national radio debut on his morning show in late April 2017. Fan reaction was immediate, and McCreery released the song independently soon thereafter. On the day the song was released, country music legend Randy Travis tweeted “this is storytelling and country music at its best.” Soon after McCreery signed with Triple Tigers Records, and the song became not only the highest-ranking single of his career, but also the fastest rising song of his career. The 24-year old singer/songwriter has a lot to say on Seasons Change, McCreery’s forthcoming 11-track album, co-produced by Rogers, Derek Wells, and Aaron Eshuis, due March 16. With every song co-written by McCreery himself, Seasons Change marks the first time he’s played a hand in writing his entire album. With songs influenced by true-life events that occurred since he released his last album at 19 -- including moving out on his own, going to college, getting robbed at gunpoint, losing his grandfather, changing record labels, releasing a book and proposing to his high school sweetheart -- Seasons Change is a true reflection of where the North Carolina native is in life. Fans can pre-order Seasons Change now here: http://smarturl.it/Seasons_Change.